In February 2016, Diga Brazil customers started off the New Year with a great treat. That’s because this year’s Carnaval celebrations begun immediately after the 2nd of February festival of Yemanjá. This indeed was one of those especially rare occasions when our clients were able to, as the popular saying goes, “kill two birds with one stone”: to witness the celebrations in honor of the African goddess of the ocean and enjoy all the fun and wildness of the world’s largest street party, all in one trip! But the treat did not end up there. Our February excursion was also the official launching of the dynamic Diga Brazil Cultural Series! Known as the cultural cradle of Brazil, the state of Bahia is home of some of the most beautiful and majestic religious festivals in the country. During these festive occasions, Catholic faith blends with African spirituality and symbolism in a fascinating and unique way. The Diga Brazil Cultural Series provides our customers the opportunity to experience these festivals through a distinctive and insightful perspective. You are invited to the next edition of the Diga Brazil Cultural Series, which will take place in August. 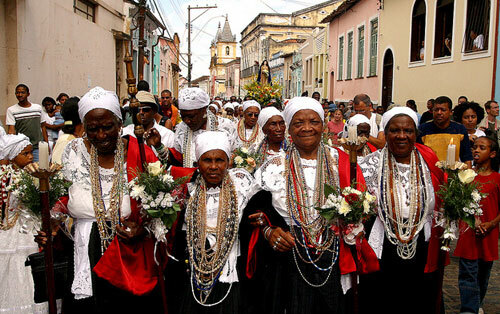 At this time, the historical city of Cachoeira, in Salvador’s countryside, hosts the celebration of the Festa da Boa Morte – The Festival of the Good Death. The Festa is organized by the Irmandade da Nossa Senhora da Boa Morte – The Sisterhood of Our Lady of the Good Death. 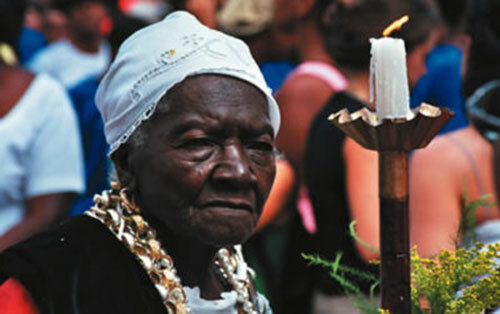 The Irmandade is the oldest African-American religious sisterhood in the Americas. The organization was founded in 1823 as a church-sponsored beneficent society for Afro-Brazilian females with the goals of purchasing letters of freedom for its members, and providing community aid, especially a good and proper funeral. For 230 years, these women have celebrated the Festival of the Good Death in the small colonial town. 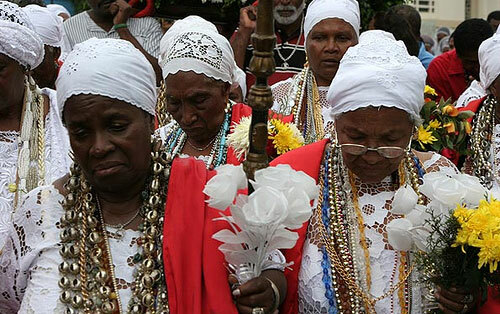 Although it started as a Catholic fellowship that honors the Assumption of the Virgin Mary, the Sisterhood of the Good Death is as well one of the oldest and most respected worship groups for Candomblé, the major African-based religion in Brazil. 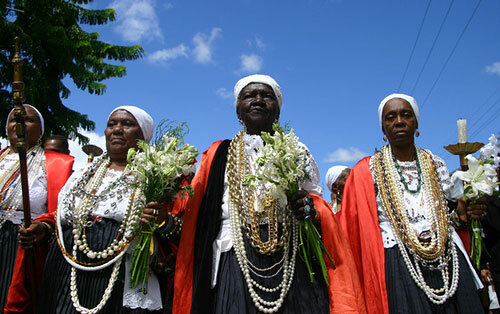 Today, the Festa da Boa Morte is considered to be one of the most important contemporary examples of Brazil’s religious syncretism and Afro-Brazilian cultural resistance.